This is a beautiful book, both in its words and in its presentation. The cover is gorgeous in look and feel and the text more than lives up to the promise of the cover. Back Cover Summary: An entertaining cultural history and a highly original take on the power of stories in societies past and present. Trish Nicholson brings us a unique interweaving of literature and history seen through the eyes of storytellers, making a fascinating journey for general readers and students alike. From tales of the Bedouin, to Homer, Aesop and Valmiki, and from Celtic bards and Icelandic skalds to Chaucer, Rabelais, Shakespeare, Scott and Chekhov, some of the many storytellers featured will be familiar to you; others from Africa, Asia and the Pacific may be fresh discoveries. Beginning with oral tales of our foraging ancestors, the emergence of writing, the great migrations, the age of exploration and the invention of printing through to the industrial revolution and the digital age, Nicholson brings us voices from all corners of the world. Combining this extraordinary breadth with telling myths, epics, fables, fairy tales and legends, she reveals their story-power in the comedy and tragedy of human affairs. And what of Story’s future..? A Biography of Story, A Brief History of Humanity is our own human epic, thoroughly researched and referenced, and told with the imaginative flair of an accomplished storyteller. This is a book-lover’s book, illustrated and handsomely presented in hardback and paperback volumes designed ‘to have and to hold’. My Review: To be human is to tell stories. It’s in our human nature to make sense of our lives through the stories we tell ourselves and others. And it’s the development and variety of humanity’s stories that Trish Nicholson explores in her book. She travels from the earliest oral traditions to the crossroads that the digital age has now brought us to. A crossroads where our stories can be spread across the globe and where they can be used either as tools for freedom or for oppression. It’s a big ask for a book to live up to such a title but it most certainly does. Because of the nature of its contents, this is a book for dipping into rather than reading from cover to cover. Each chapter is a delight and there is no stuffy academic prose. The index of storytellers is comprehensive going from Aesop to Zola, as is the roll call of cultures visited which ranges from Aboriginal to Zulu. Every chapter has something to commend it but one of my favourites is the one on Sir Walter Scott. Yes, because this is a storyteller whose roots are close to home for me, but also because it’s so absorbing and interesting. And it’s a great example of one superb storyteller telling a great story about another. I highly recommend this book to oral storytellers, to writers and to readers. A Biography of Story, A Brief History of Humanity is published by Matador and is available as a hardback and as a paperback. Trish Nicholson is, amongst other things, a social anthropologist and she has travelled extensively in this capacity. She is also a very good travel writer. 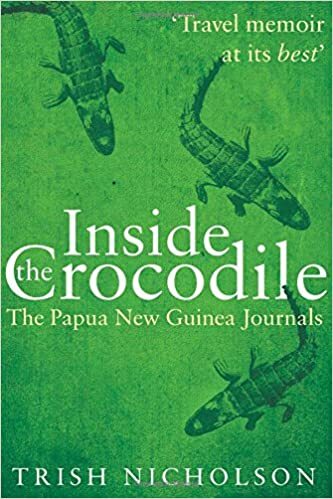 Inside the Crocodile is based on the diaries she kept during the five years she spent as a development worker as part of a World Bank funded project in Papua New Guinea. She arrived there from Scotland in the late 1980s and stayed until the early 1990s. It’s a first-class example of a travel-memoir and it’s an enthralling read. Trish tells of how, in order to do her job, she had to negotiate a very tricky path within a complex system of local politics and bureaucracy and an even more complex grace-and-favour social system. She warmly describes her remarkable colleagues and how she formed strong working relationships and friendships. She paints a vivid picture of this (to me at any rate) unfamiliar part of the world. The reader can visualise the dramatic scenery, feel the humid heat and taste the exotic food. There are accounts of many dangerous moments – in tiny aeroplanes flying low over high peaks, of jungle hikes involving rickety bridges over deep ravines, and of her own brush with death due to malaria. There’s a real TV documentary feel to this book – so clear and vivid is the writing. You feel as you read that you’re experiencing life in this jungle landscape, including the appearance of the eponymous crocodile. This is a superb account of a brave and resourceful woman’s time in one of the world’s most remote and challenging locations. Type of read: Escapist, educational and entertaining. Relax on a comfy armchair on a cold rainy day, mug of tea and some nice biscuits to hand, and be transported away from ordinary life to somewhere unfamiliar and compelling. 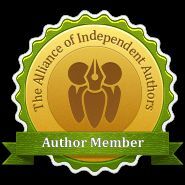 Inside the Crocodile is published by Matador and is available as a paperback and as an ebook.